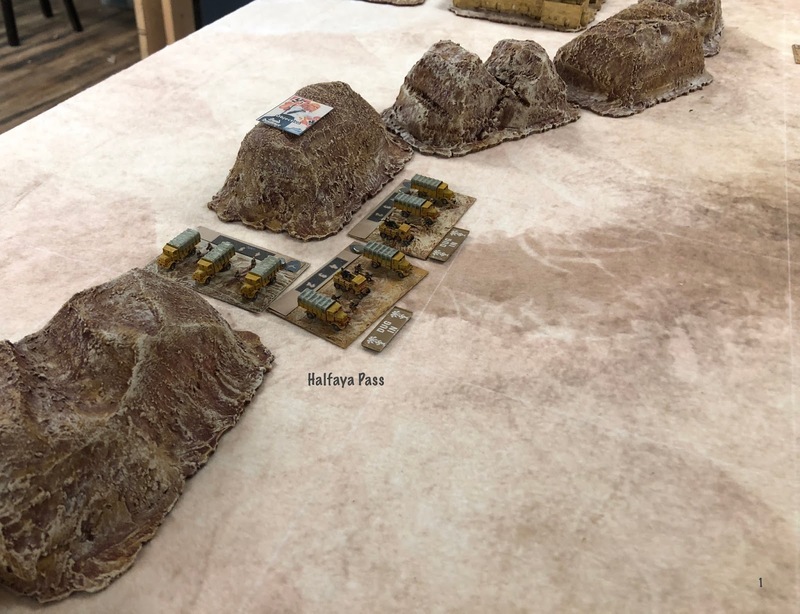 My initial focus for Rommel has been the Western Desert Campaign but I thought I would mark this years Painting Challenge with American forces for the Tunisian campaign, of which I suppose the most famous battle was that of the Kasserine Pass. 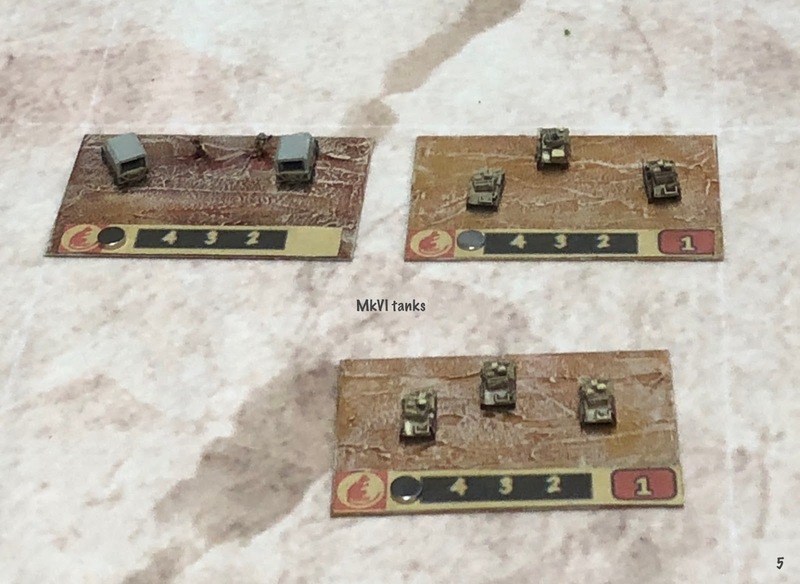 Some models arrived from GHQ on Christmas Eve and I got to paint them up on a day off after Christmas. 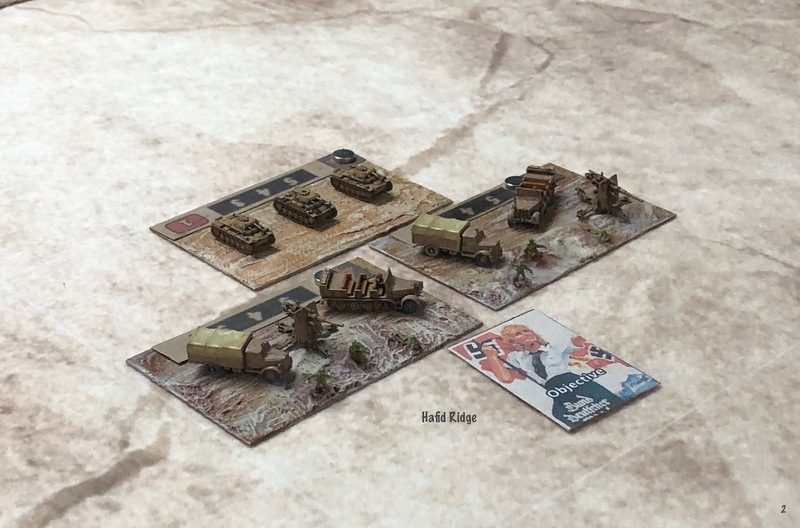 I made a larger order from CinC but they have yet to arrive, so this has given me a chance before I get overwhelmed to get these models on the table. Well I suppose that will be it for 2017. 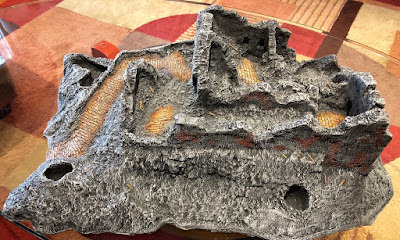 I have had this piece of terrain now for a couple of years. 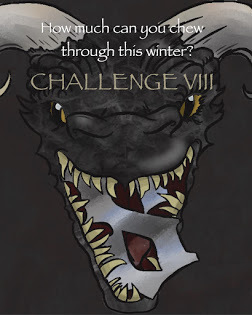 It is from Monday Knight Productions and it looked like a well detailed piece. 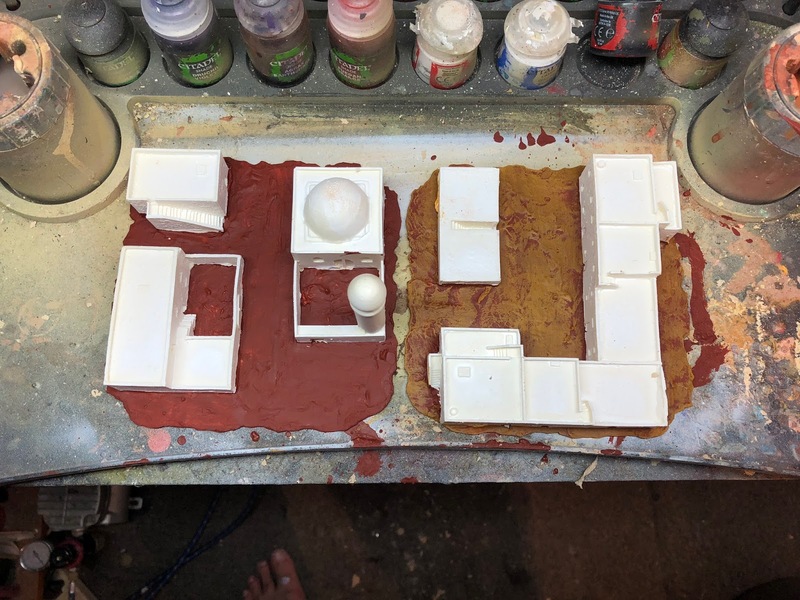 I must of primed it when I first got it and than forgot about it until the Challenge. The first question was how to paint it, I found some old colour photos and clearly it was a sandstone colour rather than a granite. 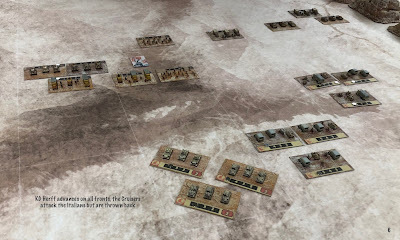 That was not really going to work for me as most of my WWII gaming interest is in Normandy or the Eastern Front. I had painted up numerous pieces for Stalingrad and although this is not really an urban piece, I felt it probably would be more likely used if I did it in granite with red brick. I could not resist however doing some of the larger brick in a yellow colour. 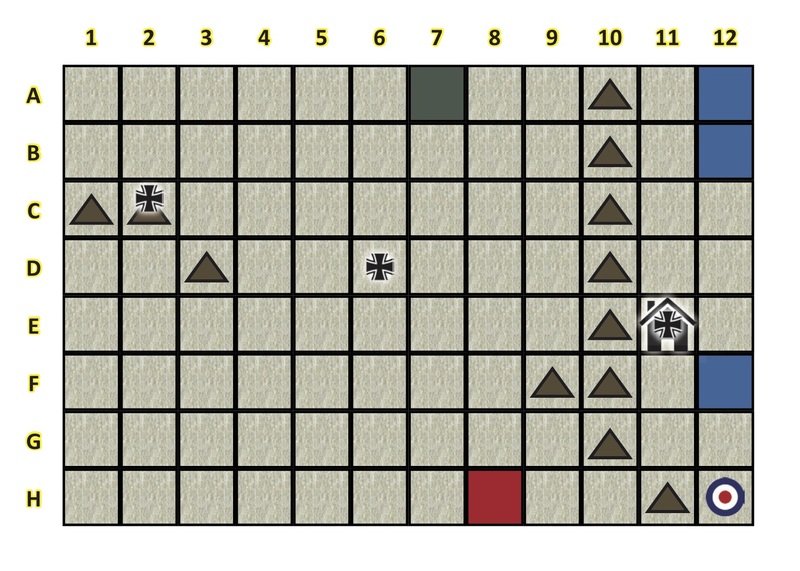 This garnered me 80 points which I thought was a bit much. 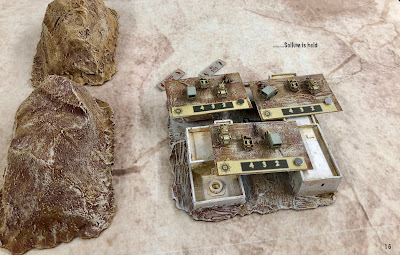 The next piece of terrain needed for my Rommel Project was some town bases. 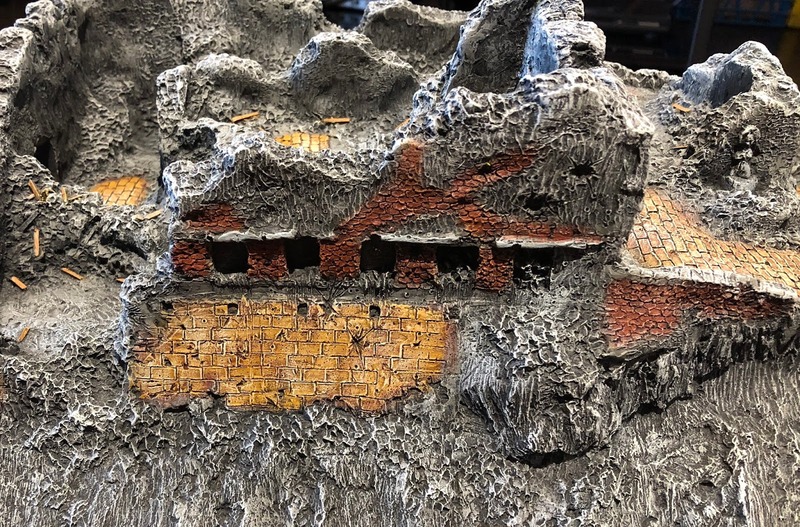 I searched about on the internet, it was surprising how expensive 6mm terrain can be, but I eventually found some nice pieces from Monday Knight Productions that were reasonably priced. Although my playing pieces are all 6mm, 1/285 buildings are way out of scale for Rommel where each 15cm grid is a square kilometre in ground scale. I felt it best to stick with a uniform scale for the games. After some thought I decided 3 kilometres of town was probably OK. I may add one further piece to make a 2 km square large town block but we will see. 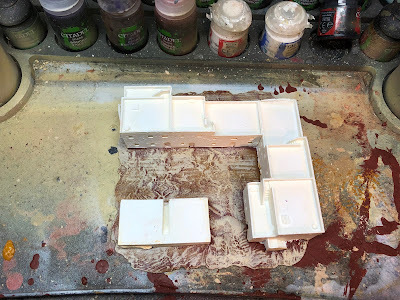 I used 13cm square bases from Batbases and glued the buildings on them. What follows was the process. Glued building and then added some wood filler. I then painted each building a cream colour washed them Vallejo Sepia Wash and then drybrushed them white. 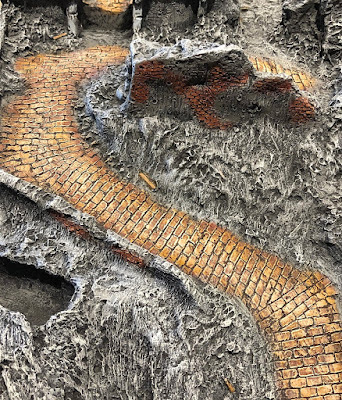 Decided to go with a central street as depicted in the photo above. I like how they came out. Well I have some more mountain pieces to do and I will have to figure out a way to represent some Wadis. 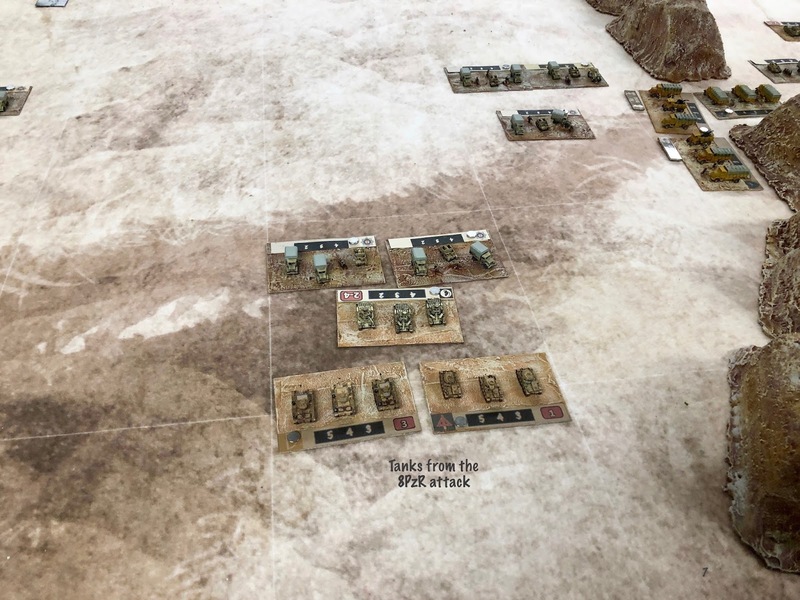 Last week we had our second game of Rommel. 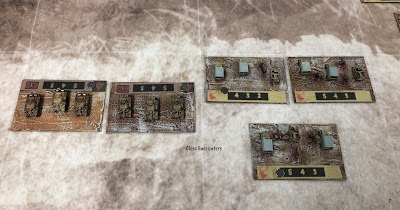 I had been searching about for a scenario that we could play next with the troops I had painted. I like playing historical scenarios so I decided to go with the next major operation after Operation Brevity in the British attempt to retake Tobruk in 1941: Operation Battleaxe. 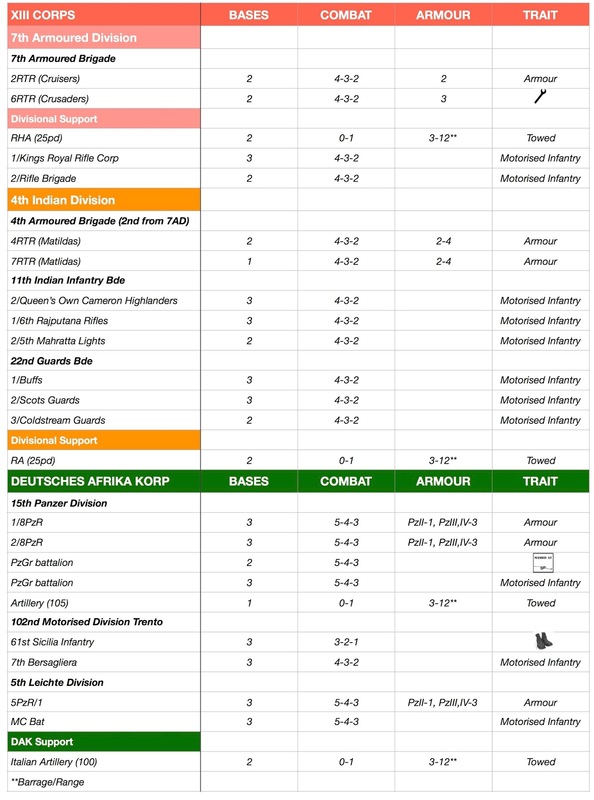 Operation Skorpion has an historical OB which is a bit small in scale for Rommel. 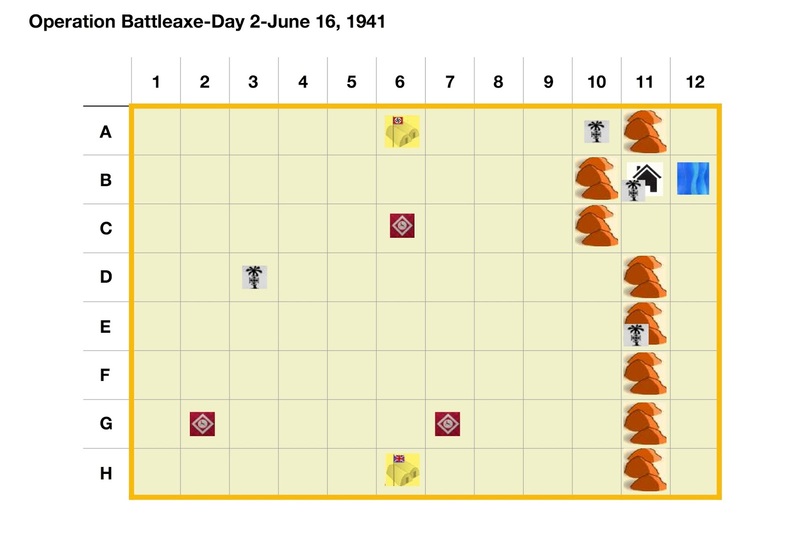 Day One of the operation was a pretty large affair and I was far from having enough bases to play with the full historical OB, so I decided to go with the situation as it was on the morning of June 16, 1941. I like writing gaming scenarios so I decided to have a go. You can find a link to the full scenario here with the historical background as well as the victory conditions. I was short of bases especially some British motorized infantry as well as specialized Axis infantry bases with 88's in an AT role. This was to take advantage of one of the optional rules for Rommel as found on the Honour forum. Some quick painting was performed and I was already to go last Friday. 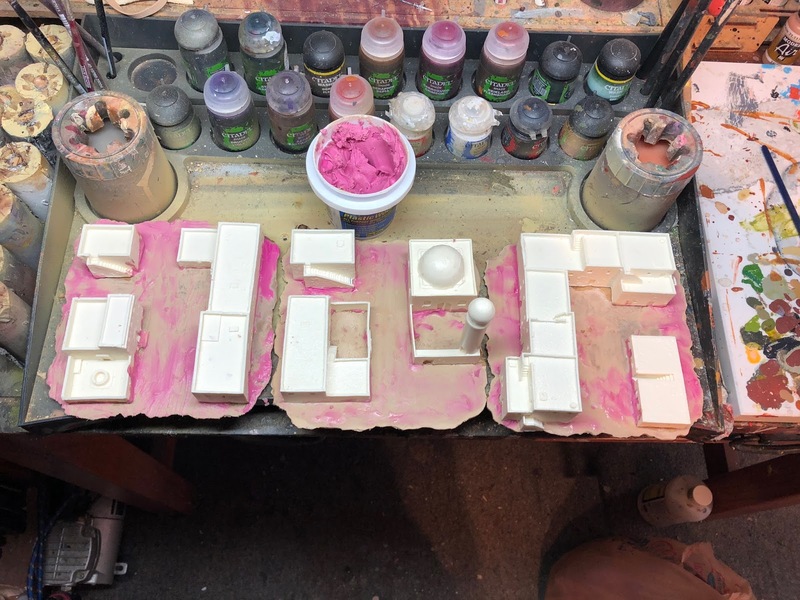 Our game was played at the Hobby Bunker in Malden, MA. They have just added Friday as a late opening for gaming, it was a little quiet but it is early days. We started around 5 and played for almost 3 hours getting to turn 14 of 16 before we both had to leave. The game played out as follows. 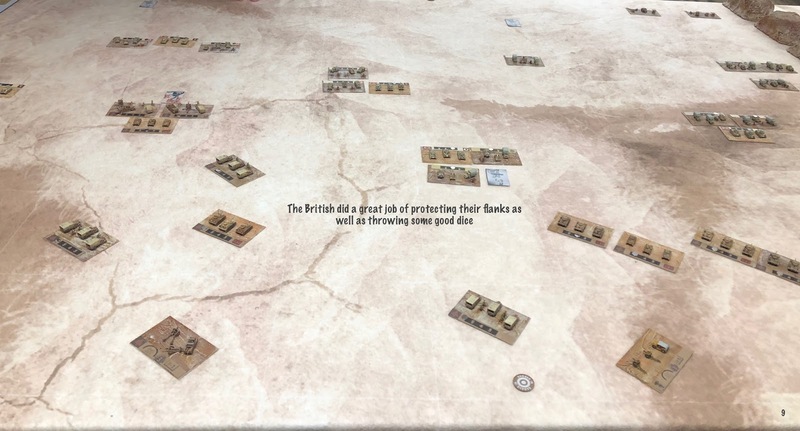 Adam played the British and I played the Axis. 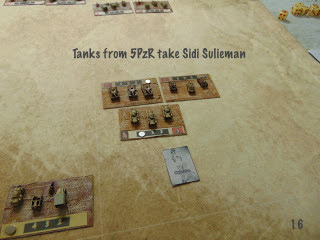 The British did a little better than what happened historically and were able to capture Halfaya Pass, the Axis, however, were able to take Sidi Sulieman. 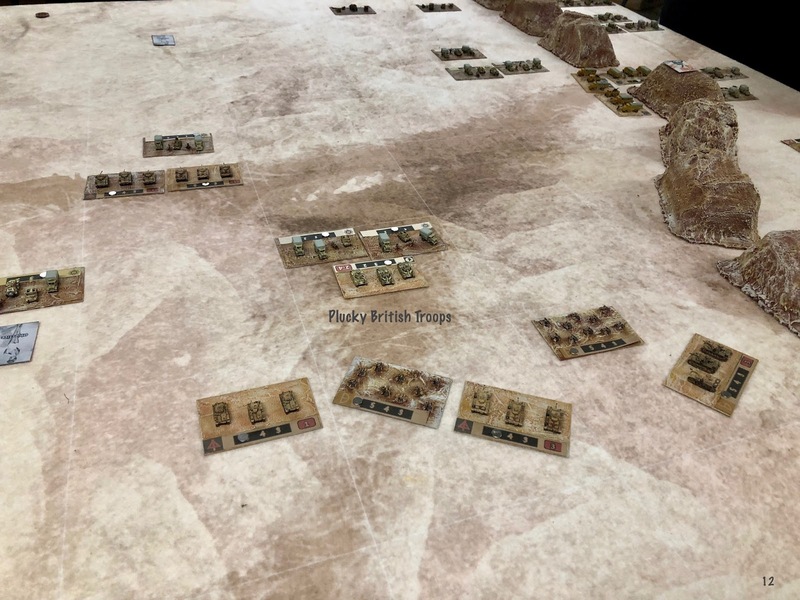 Attrition wise, though the British won losing only 6 bases while the Germans lost 10, including all their Bersaglieri and one Panzer battalion. 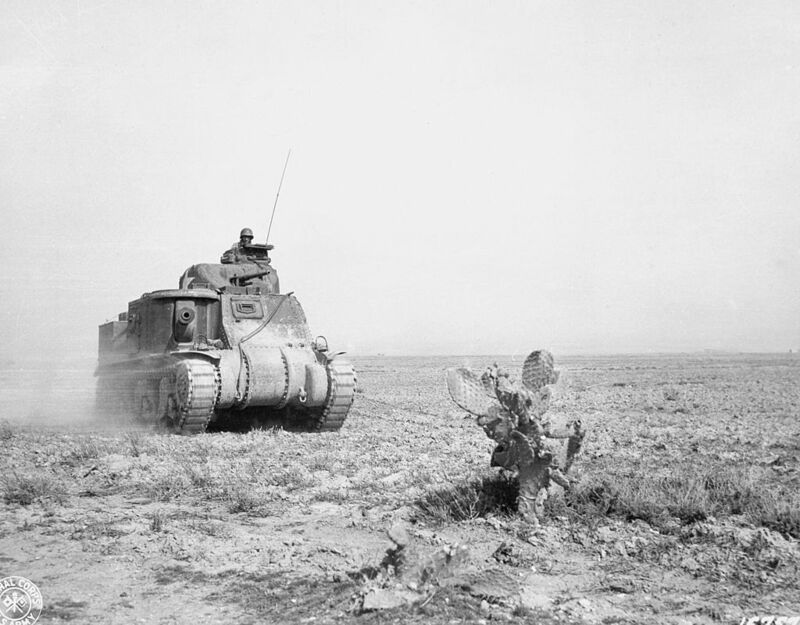 We decided to allow our forces to retreat at nightfall leaving behind forces to hold what was captured. On our next outing we will play June 17. It is going to be a challenge for the Axis with their diminished force, but the British will also have a challenge recapturing Sidi Sulieman and capturing 2 more of the DAK markers. 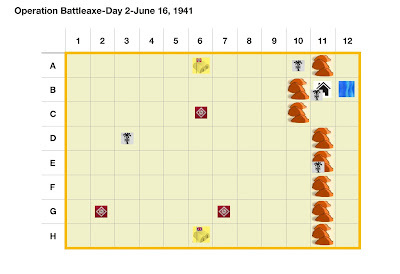 We made a couple of mistakes in rule interpretation, one which especially affected the Axis forces. 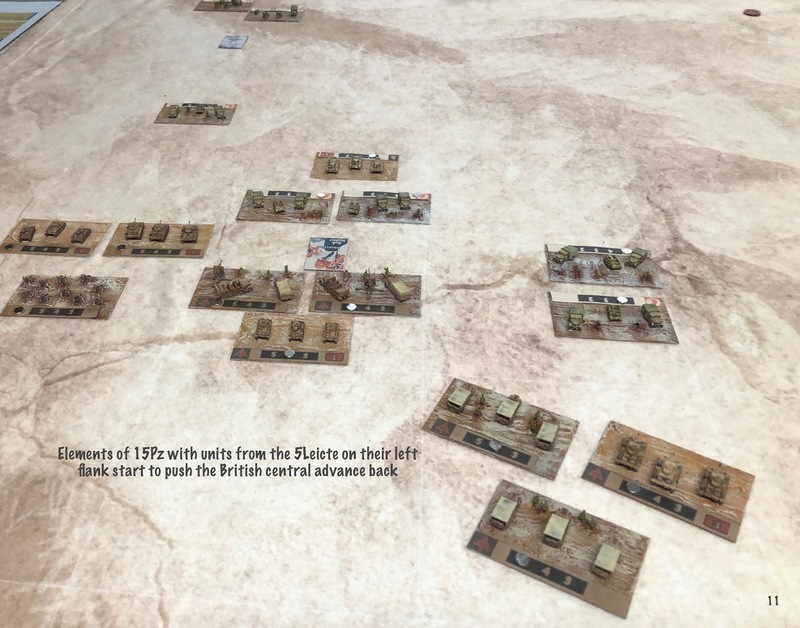 The British captured the Axis supply and we wrongly treated this as Low Supply rather then Isolation causing the Axis to have a significant disadvantage in attacking, to a point where I could not attack but just focus on defense. We also for the first couple of turns screwed up the stacking limit on each grid and we still had some confusion with the utilization of Tactics. I believe we have it all sorted now though for our next game. You can also find further photos on Adam's blog. 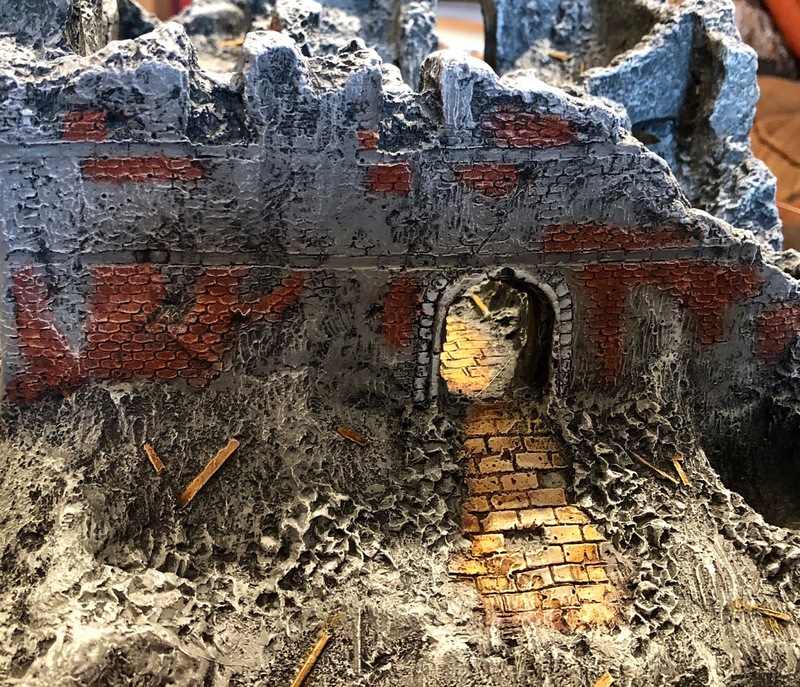 I usually do not do a preparation post for the Analogue Hobbies Painting Challenge, but the addition of terrain as an entry this year is a big plus for me. Terrain takes a lot of room and my hobby area is quite cluttered. 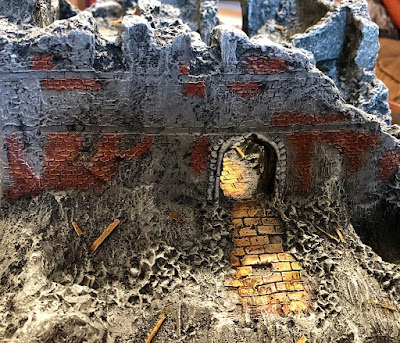 It is especially cluttered with terrain and I need to get multiple pieces done and shelved somewhere or another. With very little searching I was able to dig out the above. 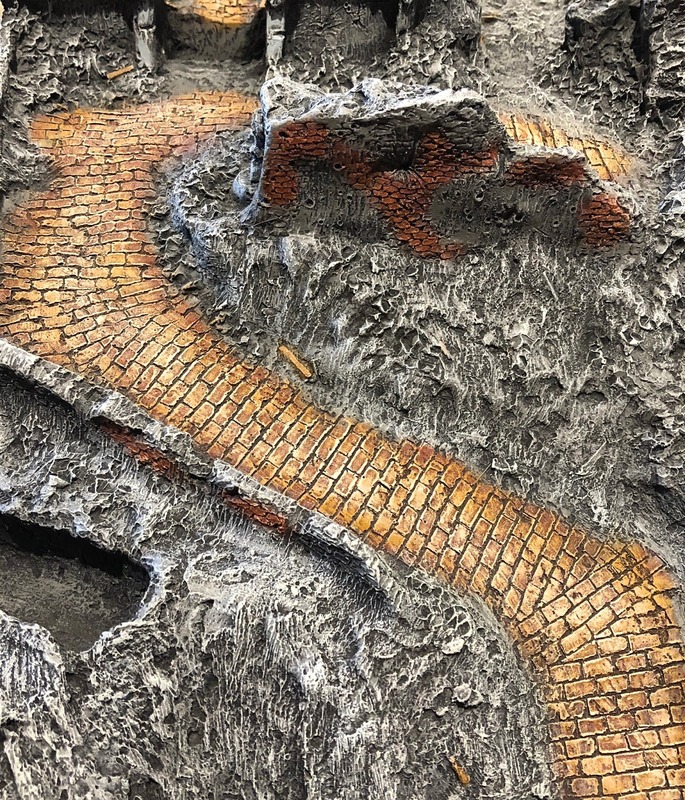 From left to right we see a 15/20 mm model of Monte Cassino, the site of an iconic WWII battle, from Monday Knight Productions; some 20mm stone fencing from Italeri; some Batbases to build some more 6mm North African Mountains; a 15mm fountain from the the company that used to be JR Miniatures and many feet of 20-25mm hedges from the now sadly defunct Small Terrain. I think this will be a good start! To your left you can also see Santini, one of our cats. 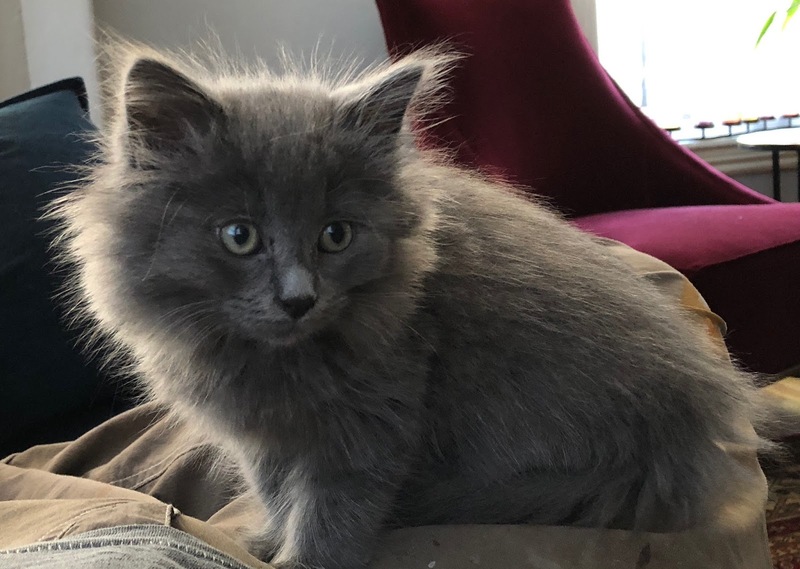 She is a lovely cat and spends a lot of time with me when I am soldiering. I also felt it would be nice to show a photo of our newest cat, Luchini. As you can see this is a very greedy cat who eats the equivalent of it's own weight 3 times per day. 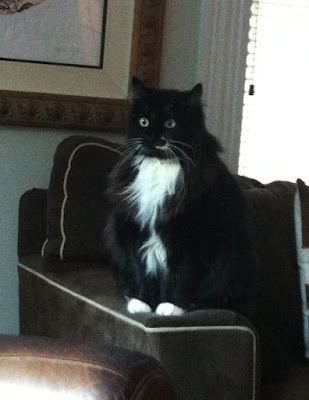 Photos of cats would not be complete without a photo of our lovely Prescillini who was killed after being hit by a car on July 31st past. We still miss her very much and Xmas will not be the same with her not being here. 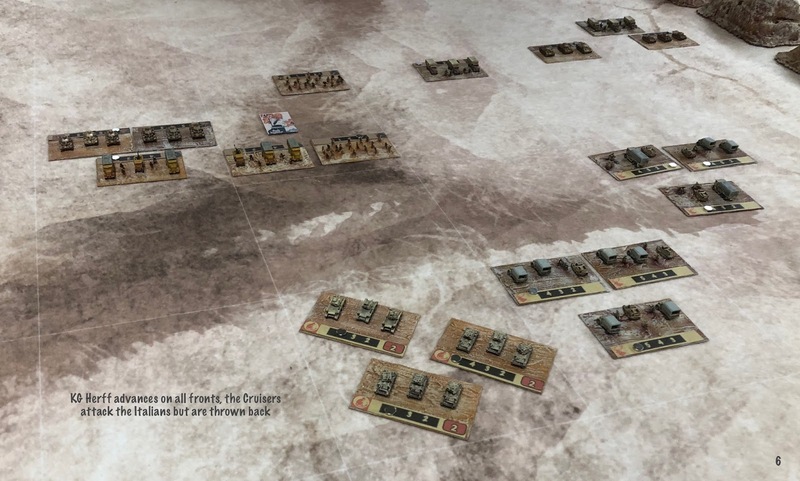 I got my first game of Rommel in last Thursday and I have to say that i enjoyed it, as I believe did my friend Adam. 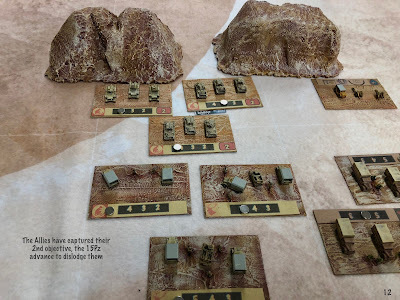 I had solo playtested some of the rules last week to get a feeling of the ruleset and by the time game day came along I was feeling relatively comfortable with the rules. 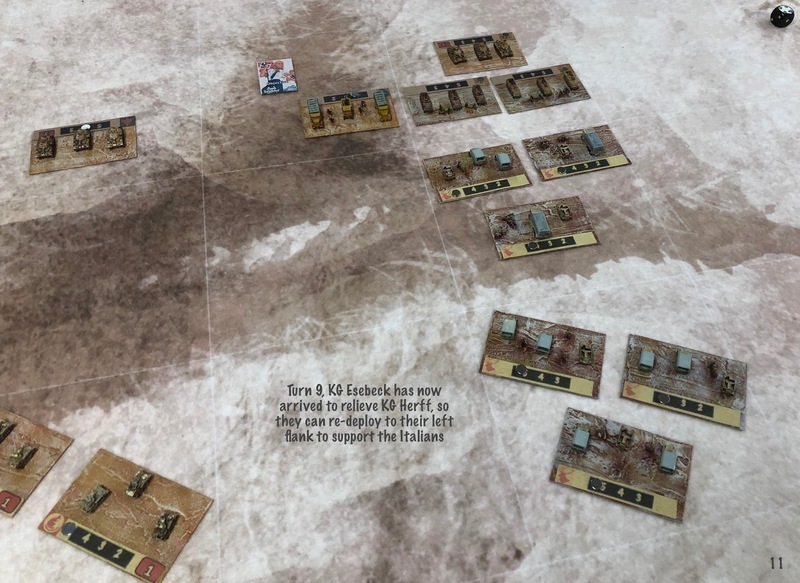 I believe Adam had glanced at the scenario but was unacquainted with the ruleset (although I have to say he is always a quick study) so it was really up to me. 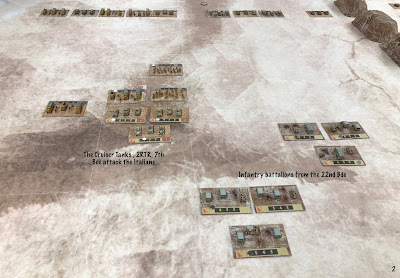 For our first go, I took a early Desert War scenario from the Honour Forum, it is available here as a free download. 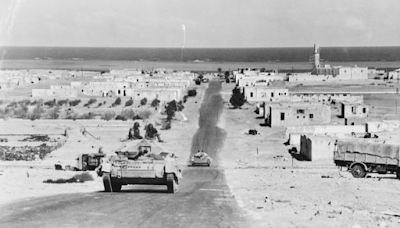 By April 1941 Rommel had driven the British forces in Libya back across the border into Egypt. 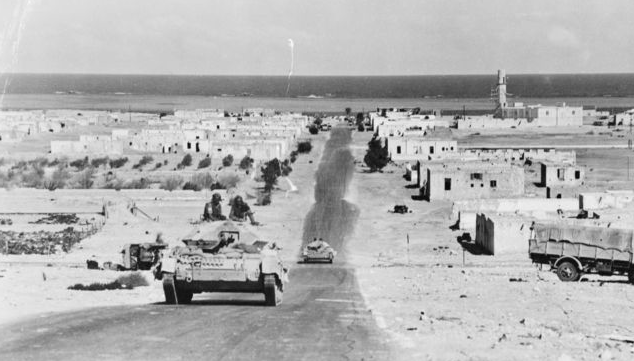 Unfortunately for Rommel his forward supply lines to his frontline position in the coastal village of Sollum were threatened by the fact that the Allied forces still held Tobruk a major fortified port to the west. 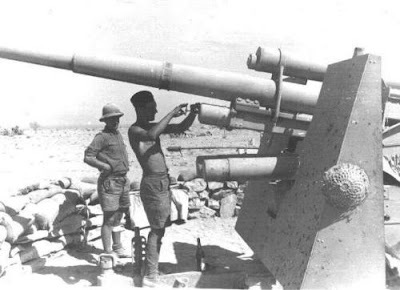 The siege of Tobruk left few DAK forces available to advance into Egypt although Kampfgruppe Herff was able to take the Halfaya Pass and take Sollum. 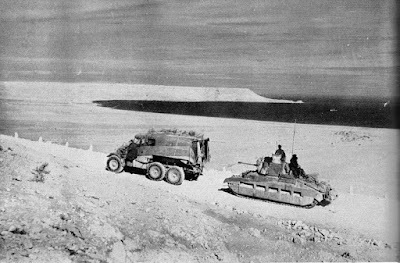 Operation Brevity was an attempt by the British Commander General Wavell to retake the Halfaya pass and Sollum as a part of the a larger operation to relieve the siege at Tobruk. Three small British mobile columns under Brigadier Gott were ordered to advance. To the south were elements of the 7th Armoured Brigade with Cruiser tanks and motorized infantry, in the centre were elements of the 22nd Armoured Brigade with Matildas from 4RTR and motorized infantry and finally on the coast a battalion of infantry as well as towed artillery advanced towards Sollum itself. Rommel uses a gridded terrain system. 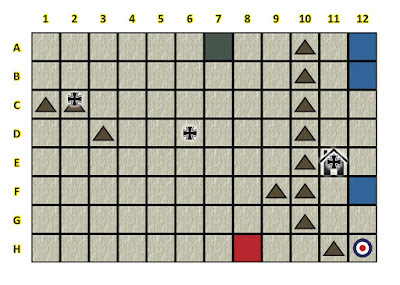 The triangles represent mountains, the blue tiles are the sea. The town marker of course represents Sollum. 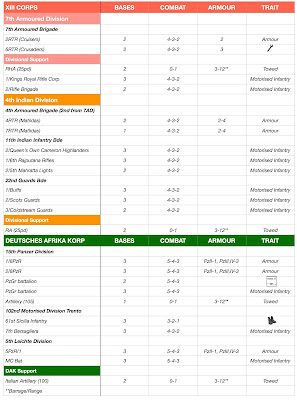 The national insignia are objectives and the red and green colour filled grids are the supply centres for each force. 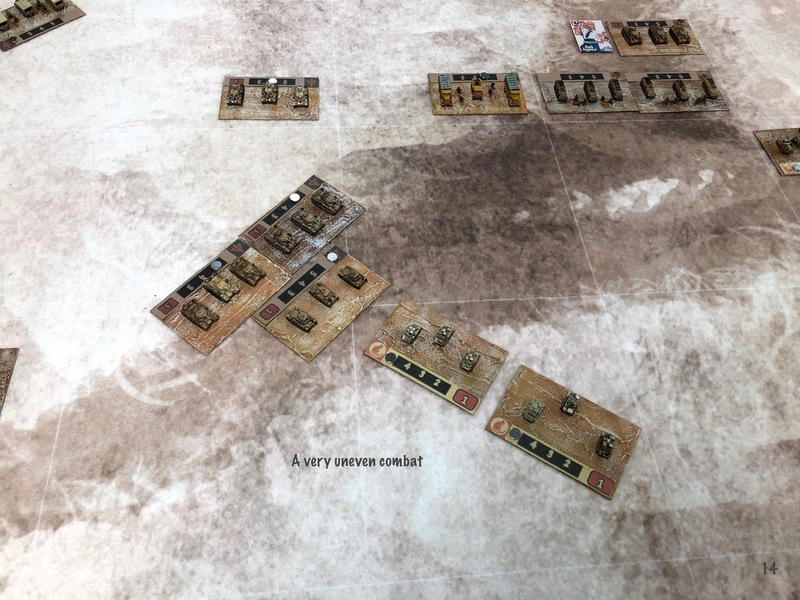 Set up and victory conditions below. 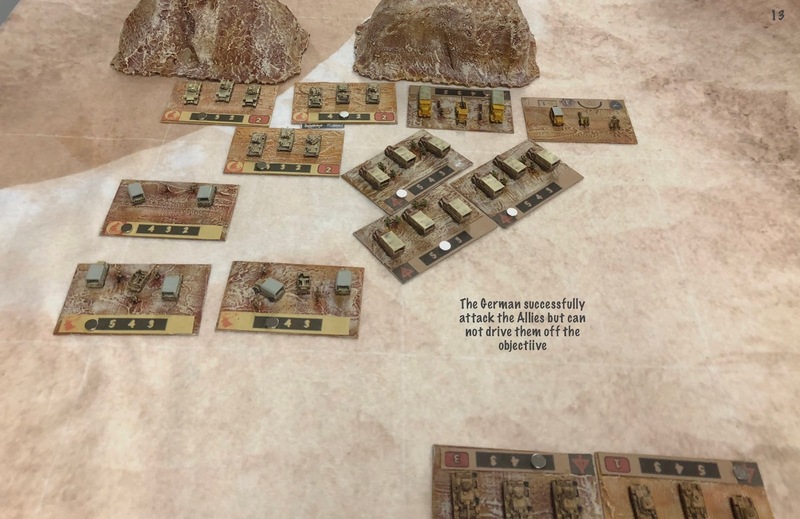 The scenario requires the Germans to set up first. KG Herff can be placed anywhere in row A, while the Italian forces can be placed anywhere in rows A to E. The British then set up anywhere in row H. The game is 16 turns and KG Esebeck arrives at the end of turn 8. To win the Allies have to hold their own objective as well as two German objectives at the end of turn 16, anything else is an Axis victory. 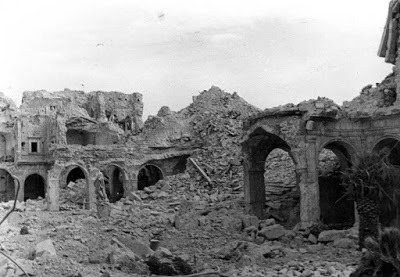 History did repeat itself, as in May 1941 the Axis forces were able to throw back the British, but the British held the Halfaya Pass. I tried to play the game using the same tactics as the British keeping my forces in 3 jock columns, although I did send the Matildas across the ridge to as a forward defense of Sollum. The Axis forces were maybe a little late to defend their right flank, although they also had to defend the centre objective. 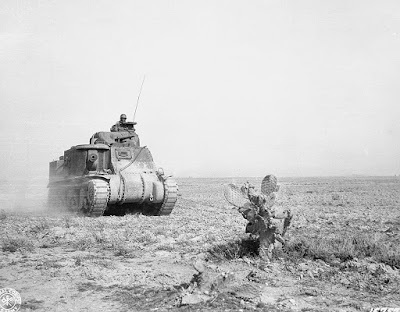 The British did lose more armour than the Axis, and were clearly outclassed by the Panzers. 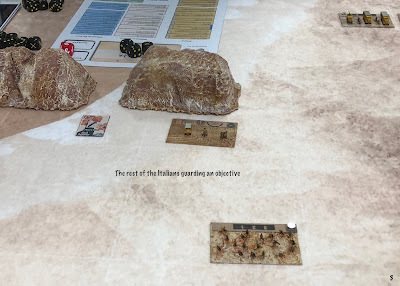 It was nice to focus on the grand tactical aspect of the games and I felt the ruleset does a great job of supporting this. 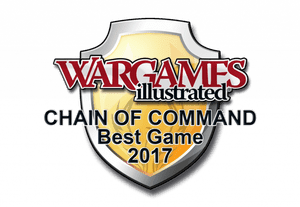 The mechanics of the game are very simple and we seldom referred to the rulebook itself except to elaborate on some of the Tactics and Events. The Ops mechanism is a lot of fun and as we both play a lot of SAGA, the process was familiar to both of us. 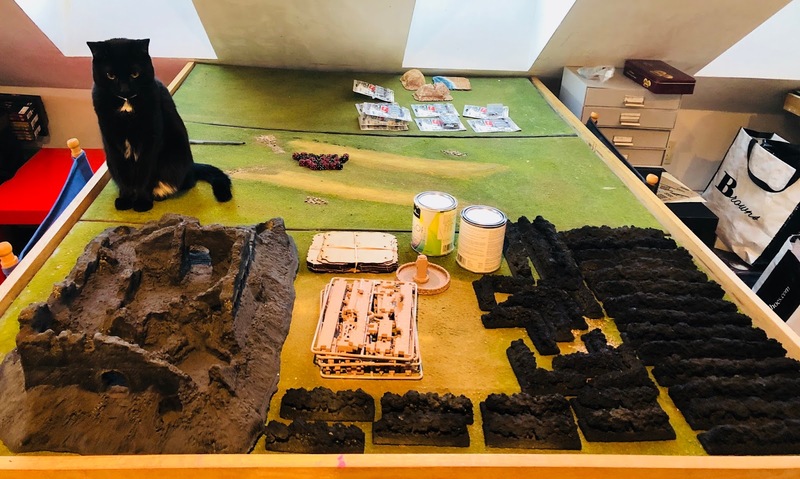 I was originally somewhat tentative about using a ruleset that has a gridded terrain but to be honest it really made things much easier. We finished the game in around 2 hours (we did play 13 turns out of 16 but at that point an Allied win was obvious), which is really excellent for a first outing with a ruleset. 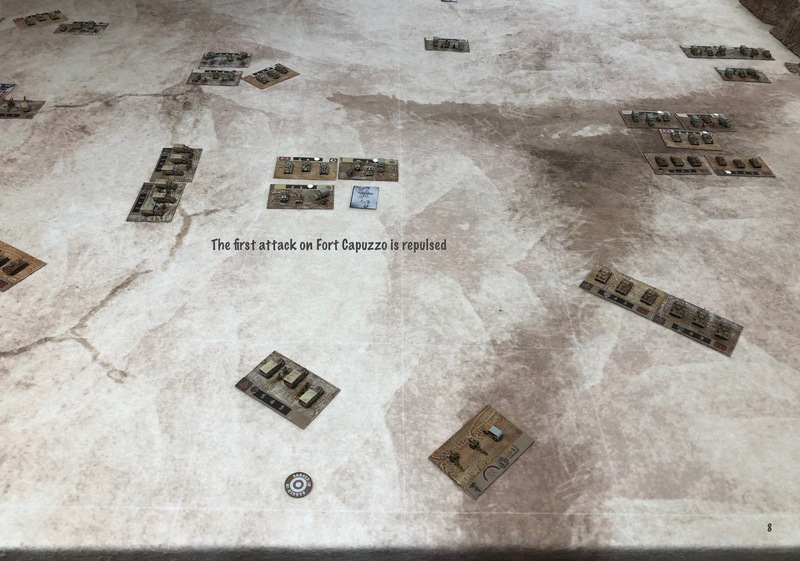 We did screw up a couple of things, I missed that defending units can chose to withdraw rather then take a second attrition hit on a specific unit. I also think at times we may have missed that an attacking unit has to withdraw after a failed combat to the grid from whence they came. I am pretty sure that we also may of missed that at times some units were isolated. 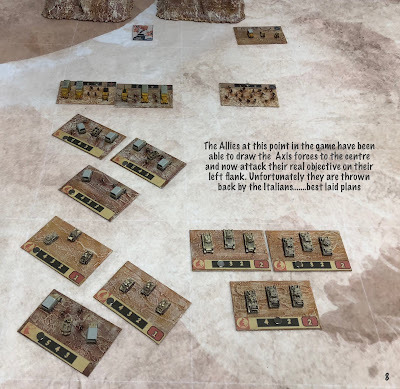 I also wondered at times about the number of units in an enemy ZOC after combat but I can still see no prohibition of this in the rulebook. 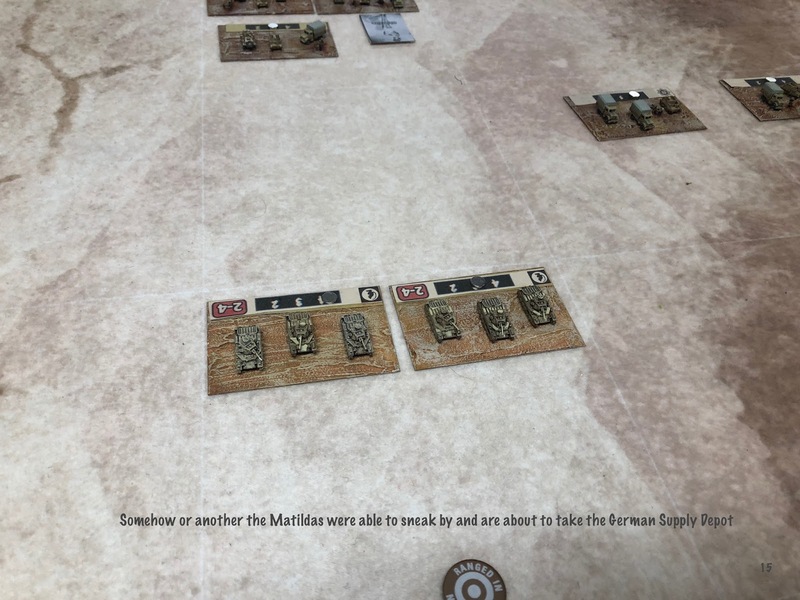 A few questions came up during the game but I was able to find answers to all but one on a second read through the rulebook. I still have a question about tactical movement through terrain which I ask on the Honour Forum. 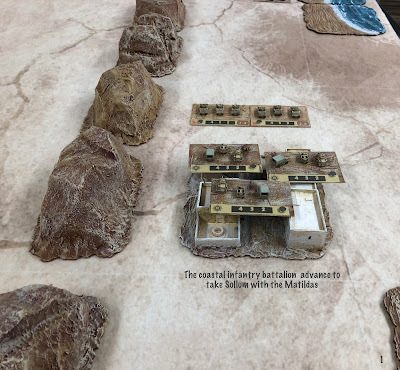 All in all though this game is a lot of fun and the work that I put into planning for the game in respect to terrain and units was well worth it. 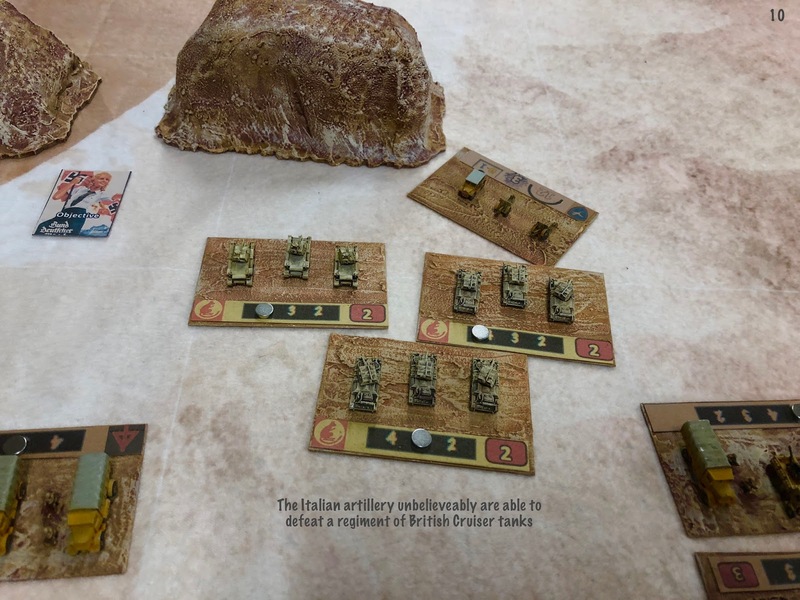 I am really looking forward to my next game.